Original box and papers can add collectability and value to a vintage Omega Constellation. If they are missing, one option is to source a genuine box from the period to house the watch and seek an Omega ‘Extract from Archives’ to establish its provenance. Sounds simple, but it is a little more complicated than that. 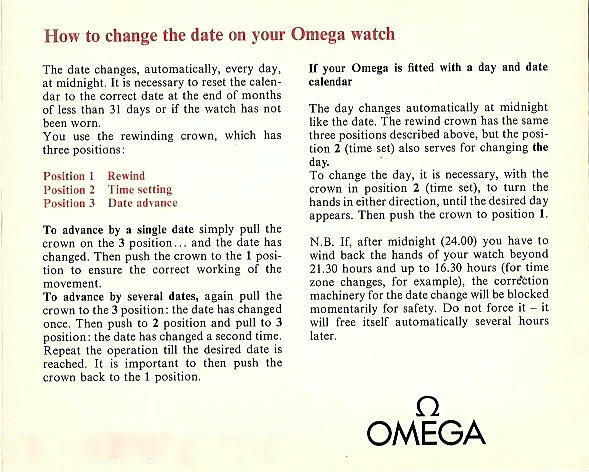 To make a ‘definitive’ pronouncement on Omega Constellation boxes of the nineteen-fifties and sixties one would need to have the certitude of a fundamentalist and the courage of a fool. Sadly, I have not yet reached such lofty heights of enlightenment or idiocy, and, so, until I receive a personal revelation or suffer the destruction of a zillion brain cells, we’re going to have to do with some reasonable generalisations about ‘correct’ boxes shown here. Fantastic site,full of incredibly usefull information.Any thoughts on publishing all the articles in a book,I feel sure it would be a must have for collectors. Second on the book! Would be amazing. Second on the book. Would be amazing. Others have suggested that I compile the major essays into a book and maybe one day Roger when I have the leisure. Once again you did it, great information for us who still need the masters voice. Thanks for your kind comments Tom.